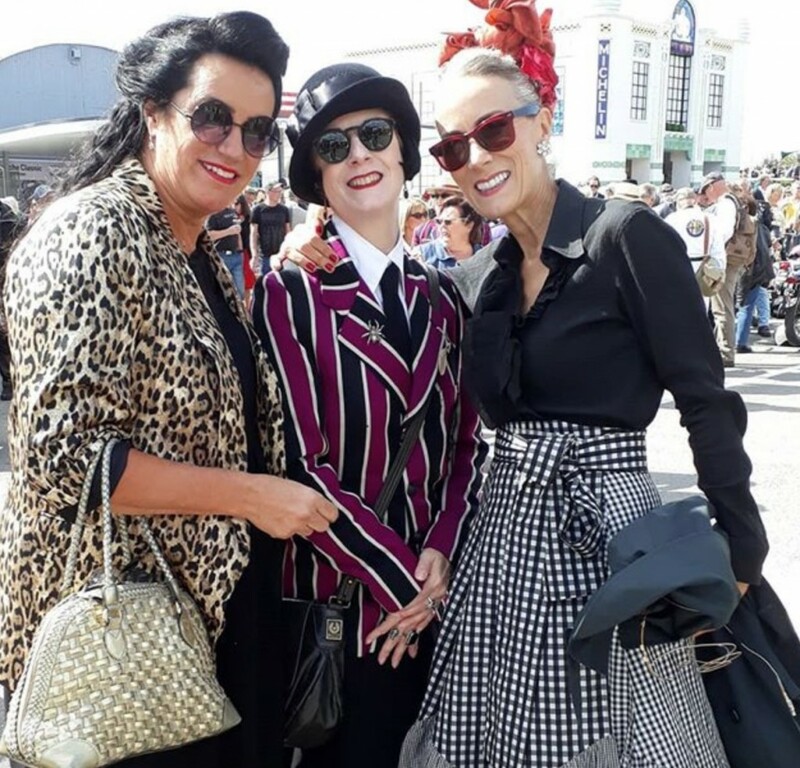 Brilliant’s favourite stylist Claire Ginzla called in Jane and Caryn to help style show producer Andy Turner’s all singing, all dancing, fashion presentation featuring looks from the 30s, 40s 50s and 60s – the Halycon period of the original Goodwood motor circuit. 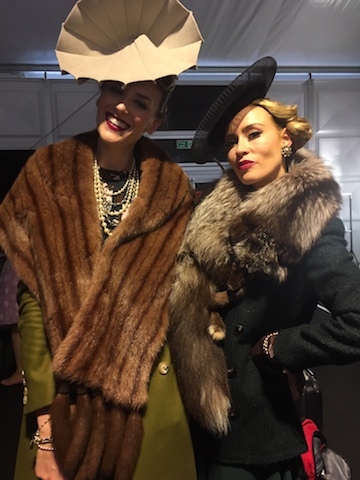 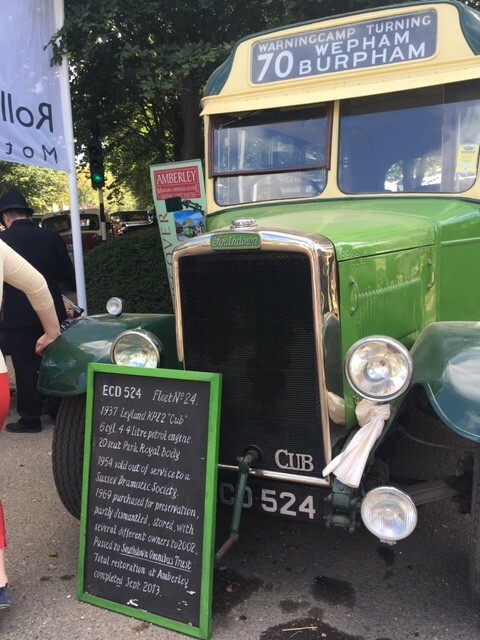 It was a nostalgic and and immersive story to showcase vintage looks of Goodwood exhibitors and inspire audiences with dance, styling, film and a great music track. 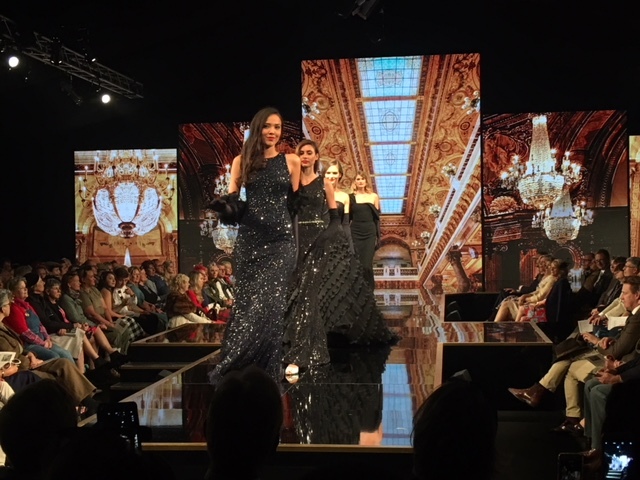 Caryn hosted the ‘People’s Catwalk,’ as well as the ‘get the look,’ shows to provide tips and styling information. 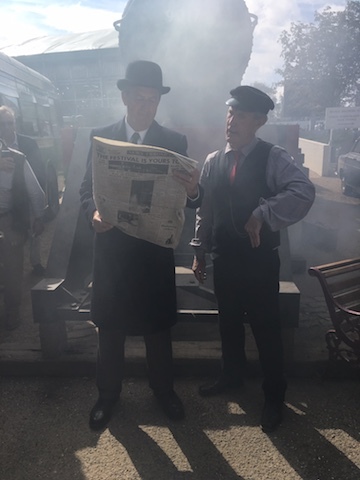 This year the theme titled ‘The High Flyer’ centred around the story of a young man who leaves London to explore the world. 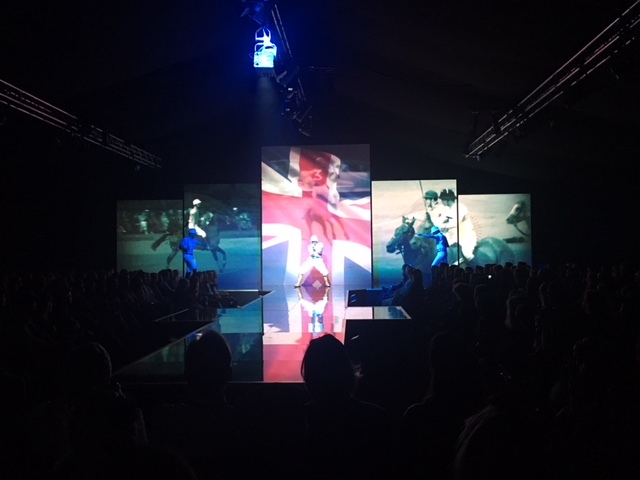 The show was split into several scenes including a Nassau Bahamas beach set, skiing at St Moritz and Vegas casino.